The Dunedin City Council is presently consulting on the next stage of its cycle network for South Dunedin in Victoria Road. The project has raised the ire of residents in the area because of a loss of parking, dangers to pedestrians due to the shared design of the proposal, a loss of business and the timeframe of the consultation process. The City Council has already changed the proposed route away from the sand dune area of St Clair/St Kilda because of the stability and safety of the foreshore due to on-going erosion concerns. Despite that, the notion of a cycle track in the dune area seems etched in the public’s mind to allay other effects of the proposal. For the Society, the protection of the dune areas of St Clair and St Kilda remains paramount to the long-term protection of the city, its coastal environment and its associated landscape. As a city Dunedin and its residents have been fortunate to be able to enjoy the recreational opportunities that the sand dunes have afforded them over the years. This, despite the continued pressure being placed upon dune and beach health due to pressures from land use, mixed management practices and continued erosional forces over the last 150 years. Infrastructural development, such as the proposed cycleway must be mindful of the need to protect and promote the sustainable management of dune health for the welfare of the city and its residents. This is particularly pertinent in the face of recent erosion events along the Dunedin coastline and in the predicted sea level rise scenario’s promoted by various bodies including the City Council. From both perspectives and within the historical context the sand dunes are under extreme pressure that has continued with widespread human modification and destruction of dune habitat. The Society has repeatedly requested the City Council undertake major initiatives such as change in land use and restorative management to ensure the dunes are protected and nurtured into a productive ecological and landscape entity. The cycleway issue means that the City Council must find appropriate measures that allay the community fears over the management and design of the project. However, to achieve this it must utilise good design, consultation and common sense so as not to impose expensive infrastructure on a precarious and fragile dune habitat that protects and provides for the benefit of our city. One of the most famous lines from “The Wizard of Oz” is when Dorothy says to her little dog “Toto, I’ve a feeling we’re not in Kansas anymore.” That particular line has become a cultural metaphor used when we visit places or see things that are not familiar to us and we relate them back to our own personal vision of the world. That same cultural metaphor may well apply to the proposals being put together by the Dunedin City Council for the Otago Peninsula. 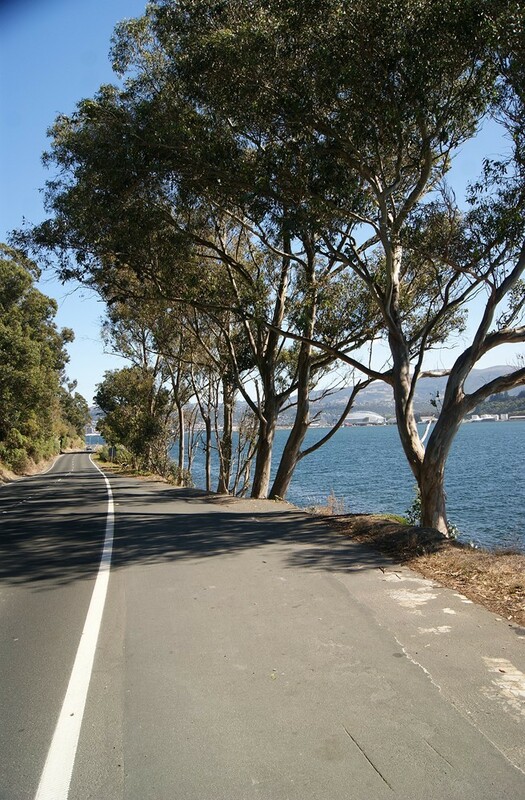 The Dunedin City Council road widening programme will include reclaiming 5-8 metres of the Otago Harbour shoreline along a 13 kilometre stretch from Burns Point (near Vauxhall) to the entrance point of Taiaroa Head. It will cost the City Council nearly $28 million over 9 years, with a further 66% of the construction subsidised by the New Zealand Transport Agency. That’s a total project fund of $84 million. The driving force behind this development has been the Council’s desire to create better cycling and pedestrian access to and around the Peninsula from Portobello and Harrington Point Roads. Traffic safety has also been mooted as the justification for the project and on the face of it that sounds reasonable. However, like all things the devil is always in the detail, and this project requires deeper financial, landscape and ecological scrutiny. In a 2011 Council report the Otago Peninsula route did not even rank within the top ten in terms of safety, accident history, population, topography and demand. However, the same report recommends that the Peninsula be given priority since the 2011 Annual Plan because the City Council had already undertaken work at Vauxhall and Macandrew Bay. Which raises the question, what is the real reason for this project? Looking through the City Council’s Cycling Strategy there is some description of the benefits to tourism, but the strategy has no data and only a recommendation that further research is required to understand this dimension of cycling use. So despite not ranking as a priority in the City Council’s own assessment, the Council decided that because work had already been undertaken it should continue. Yet the Council seems confused as to why it undertook that work in the first place and how it came to that decision. That’s misguided and muddled thinking. 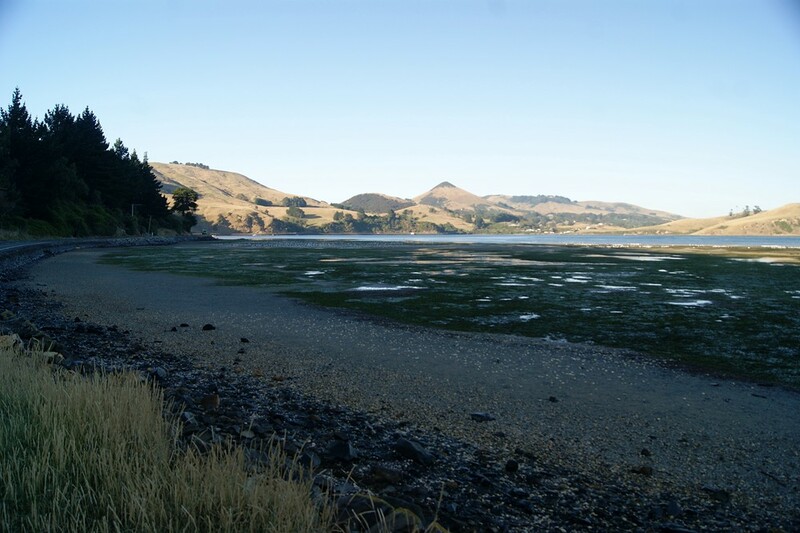 The reclamation of Otago Harbour’s rocky shore and intertidal zone will have a significant effect on the ecosystem of the harbour and the associated food web of the Otago Peninsula. Current estimates of the total reclamation undertaken by the City Council will total 11 hectares, and that may actually exceed 14-16 hectares when looking at the proposed extent of the reclamation described in the proposal. Which is ironic given that the City Council’s Cycling Strategy suggests that “cycling improves the quality of our natural environment and minimises environmental impacts because bicycles are the most energy-efficient land transport vehicles.” Well that’s probably quite reasonable, providing you don’t destroy almost all of the intertidal shoreline habitat from Vauxhall to Taiaroa Head with reclamation and then cover it with an oil based asphalt pathway. The environmental impacts of this project on the health and functionality of the harbour are immense. Reclamation will result in significant loss of rocky shore and intertidal sand flat habitat, damage and loss of traditional fish breeding sites, and changes in the tidal structure of the harbour that will deplete further intertidal areas. 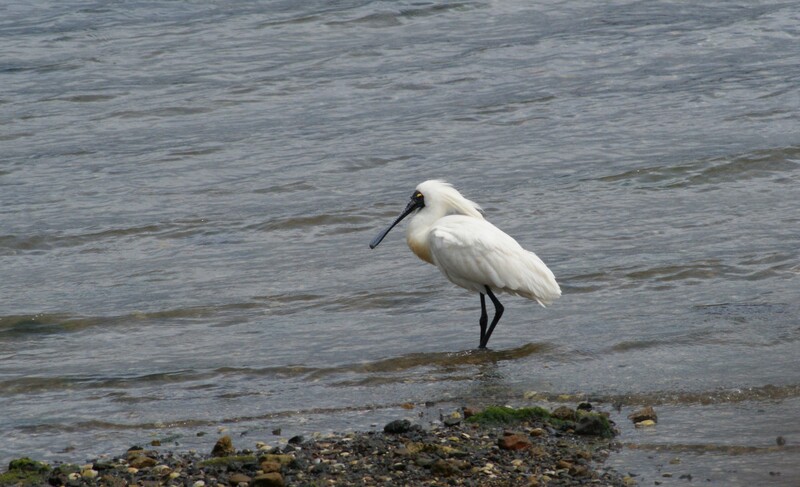 The destruction of the interrelated food and habitat web in the harbour could be catastrophic on many bird species such as shags, spoonbills, wading species, and marine birds that populate the harbour and its environs. Which is ironic given that most of the Peninsula tourism market is based on bird life, the Royal Albatross, Blue Penguin and the Yellow-eyed Penguin. There are also significant implications for the landscape with the destruction of the harbour landscape features that have become part of the natural and modified character of the Otago Peninsula for over 150 years. Many older landforms that were once part of the original harbour and cliff edges for thousands of years are to be demolished to make way for the smooth. One area of particular concern to the Society will be the removal of all of the trees on the harbour’s edge from Burns Point to Glenfalloch. Climate change and sea level rise considerations also need closer consideration with this proposal. 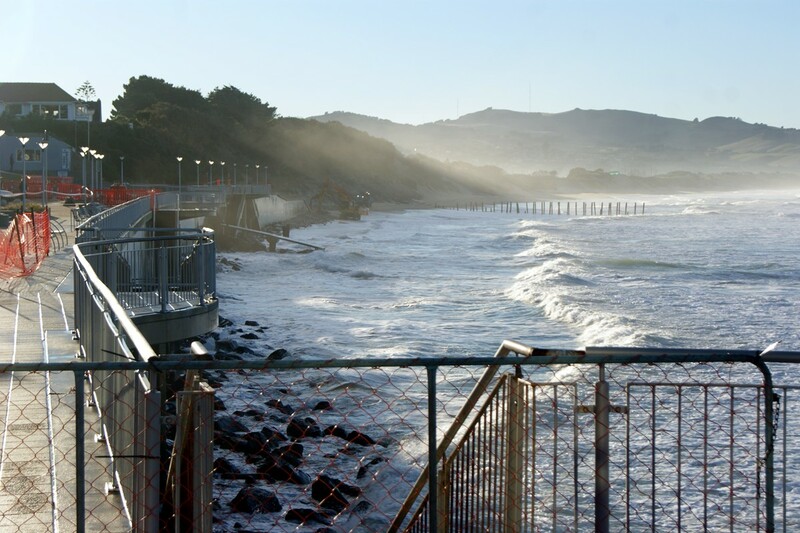 The report “Climate Change – Impacts on Dunedin” by Professor Fitzharris suggests that natural ecosystems will be particularly at risk from the sea level rise associated with anthropogenic climate change. Which raises further questions of the sustainability and wisdom of reclamation in the face of these predictions. Professor Fitzharris clearly demonstrates that the “harbour side shoreline, including the entrance to Otago Harbour” will be one of five specific hot spot areas vulnerable to climate change. 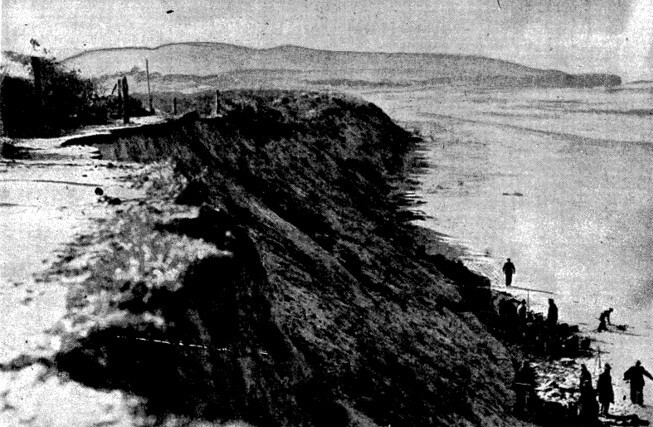 He goes on to state that “rock protection walls around Otago Harbour will need to be continually strengthened and eventually raised.” The Fitzharris report clearly indicates that coastal communities like the Peninsula may experience severe risks of inundation by a 1-in-100 year storm surge which “will more than double after 2040” and this will lead to on-going coastal erosion. Where is the forward thinking in the face of mankind’s worst environmental disasters when the City Council is planning to reclaim the harbour and build new walls which may well not stand the long term impacts of sea level rise? The really sad thing about this proposal though is that the citizens of Dunedin know virtually nothing about it. The level of public consultation undertaken by the City Council and the Otago Peninsula Community Board has been very quiet indeed. The City Council presented the proposal to the Community Board on May 24th, 2012 and little was reported at the time. Indeed the Community Board were asked to provide feedback to the City Council by the 29th June 2012, but have never reported what that feedback was to the community. It begs the question, if both political arms of the Council were making these plans 9 months ago why did the public only get the opportunity to comment on them in March 2013, and only for a trifling 4 weeks?